Digital Labels are simple, yet powerful. 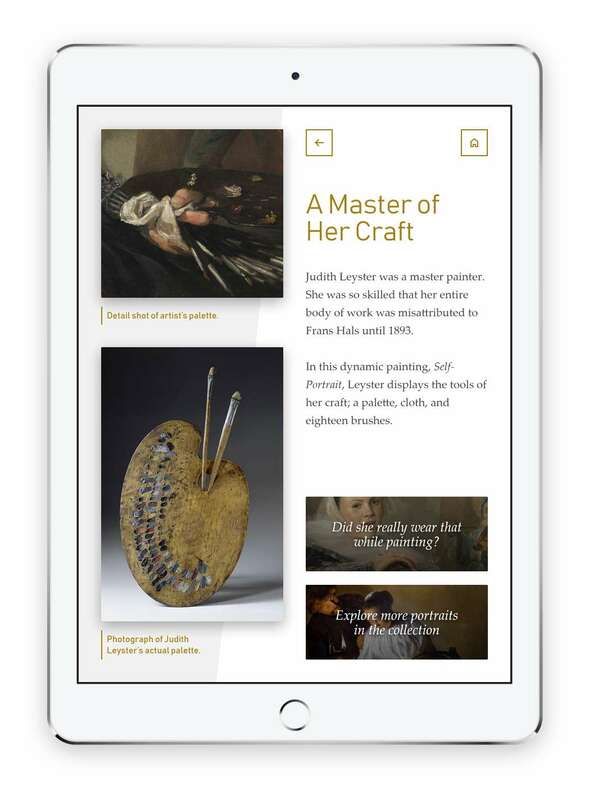 Visitors tap hotspots – animated touch points – to uncover layers of interpretation. The Digital Label is intuitive, eliminating the need for instructions or a learning curve. Visitors of all ages can jump right in and engage with the stories behind your collection. Like all of our mobile and digital interactives, Digital Labels support all media – images, audio, video and 3D object files. Go literal, applying hotspots to key details in an image. Or, be more conceptual by using the hotspots as entry points to explore themes or showcase supporting multimedia. See examples of each approach below. Too much history! The property has fine art, decorative art, and historic objects, then of course, there’s the story of the property and its owners. A wall label just can’t capture all of that history. Not enough staff. While docents often help bring history to life for visitors, the reality is accommodating all visitors with guided experiences isn’t always feasible. Digital Labels offer self-guided, media rich opportunities for visitors to connect with the property. Accessibility. Historic properties cannot always offer access to all visitors. There may be security barriers preventing visitors from entering rooms. Or, upper floors may be inaccessible in a wheelchair. Digital Labels offer visitors the opportunity to see the property when they would not be able to otherwise. 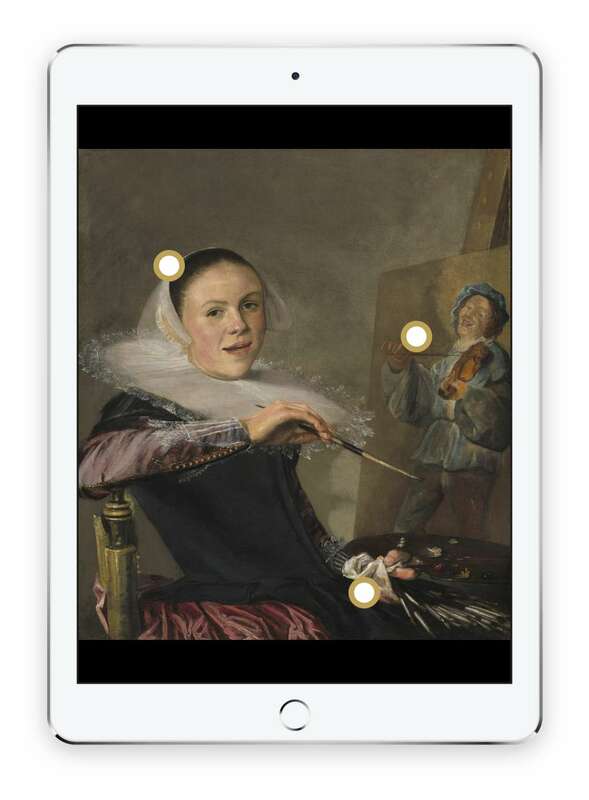 Why the artist chose to include the objects featured in the portrait (through the hotspot on her palette). Background on the artist’s life and relationship with Frans Hals (through the hotspot on the painting within the painting). On the hotspot detail page featured, we are able to compare the detail within the painting (the palette in her lap) to a real-life artifact. ‘Learn more buttons’ below the text invite visitors to dig deeper, if interested. 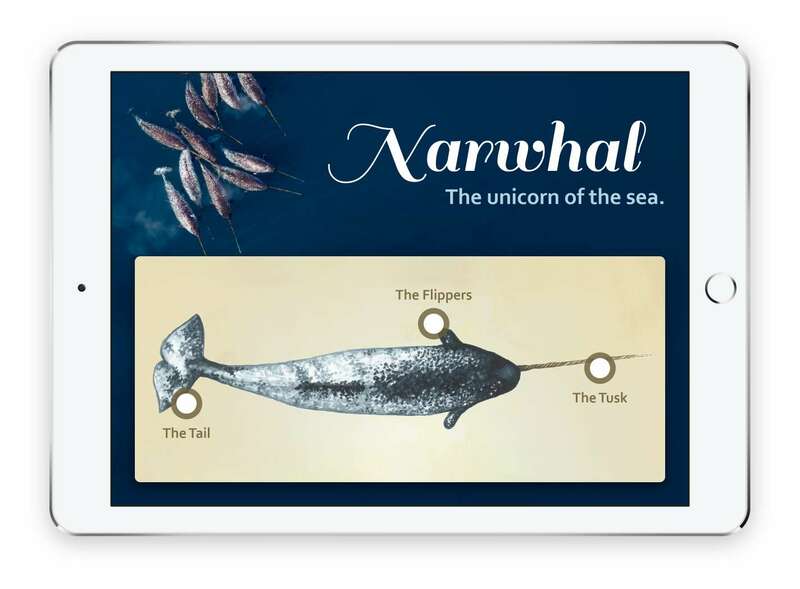 The anatomy and behavior of the narwhal. What environmental issues are affecting the health and survival of narwhals. Calls to action for how to help protect our oceans and ocean life. 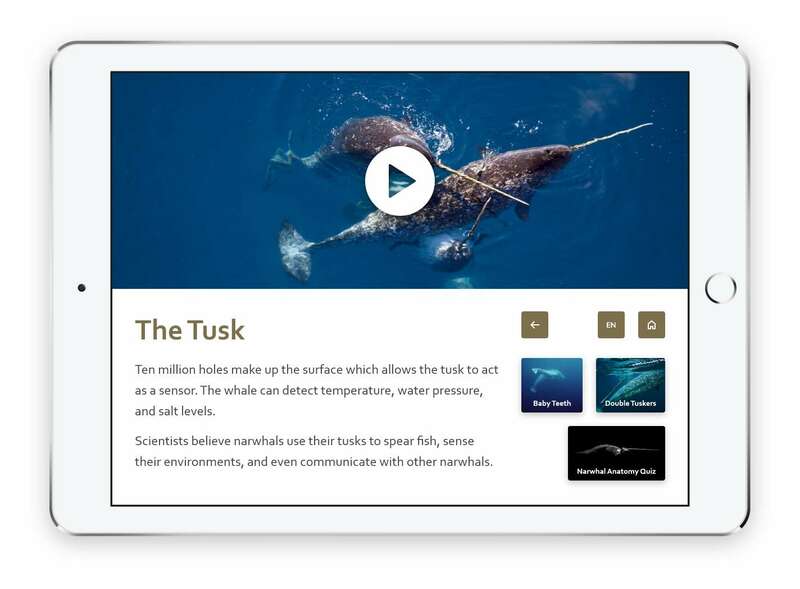 The hotspot detail page for the tusk features a video and several ‘learn more buttons’. 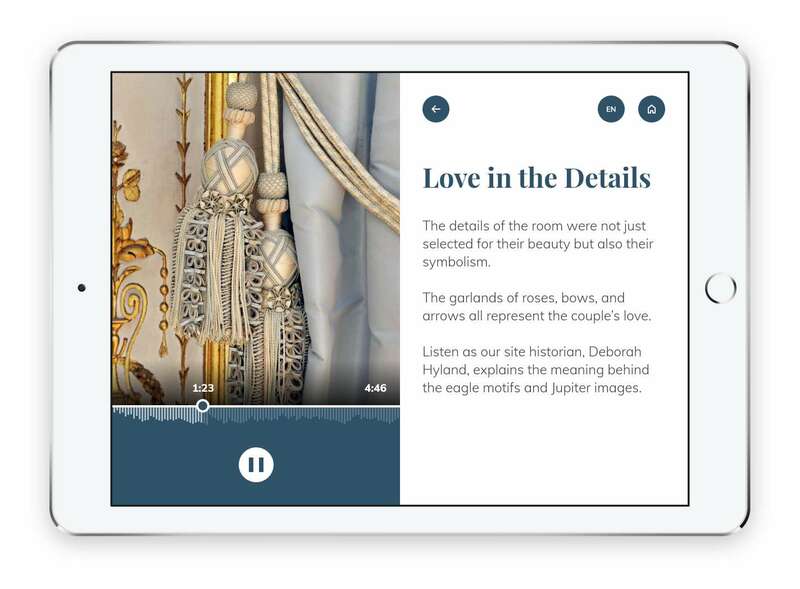 Animated touch points don’t always need to interpret literal details of an object or images. Rather, they can be jumping off points for discussing larger themes. 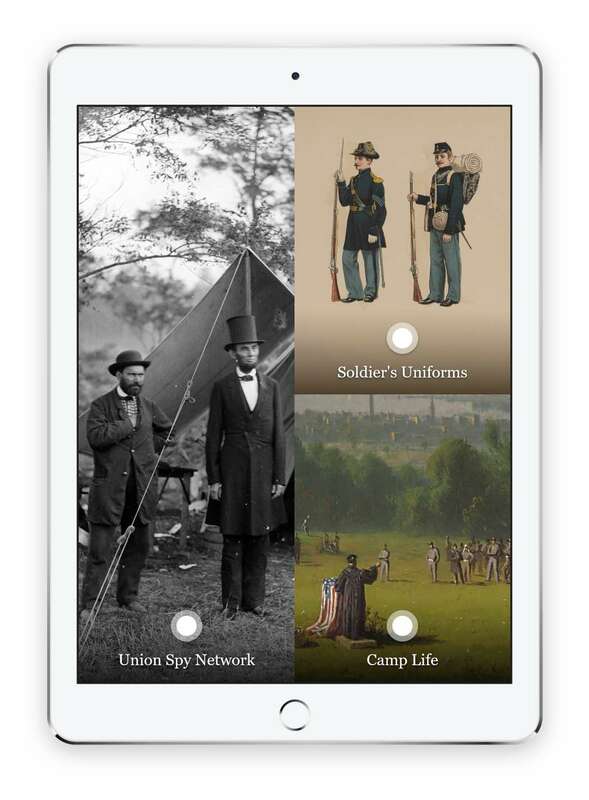 In the example above, a Digital Label is used to examine a few facets of life during the Civil War. Visitors can explore how uniforms communicated status and experience, how civilian spies aided Union armies, and the day-to-day of living in a camp at war time. 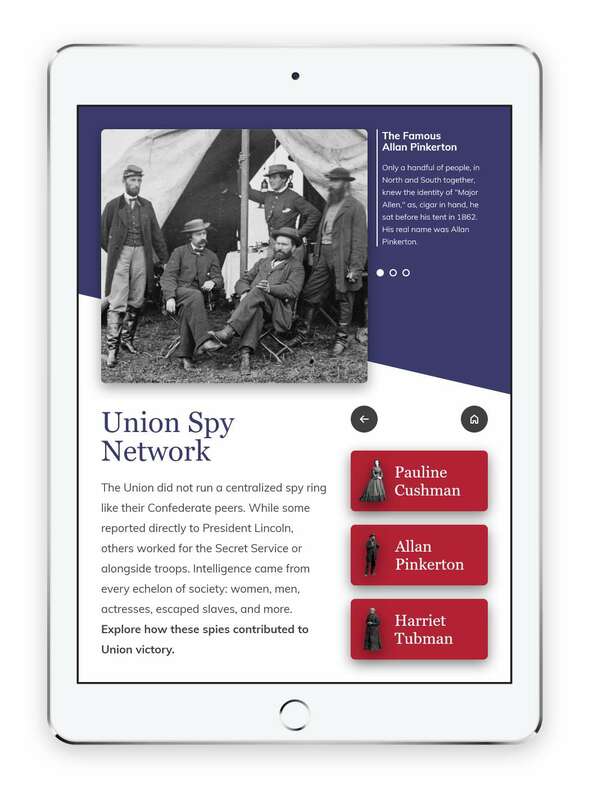 The example hotspot detail page provides introductory information on union spies while offering learn more buttons for visitors to dive into the backstory of individual spies. This approach caters to both skimmers and divers. Want to hear more about digital labels or any of our other products? Drop us a line here. See a detailed over of features on the Digital Label Product Page. 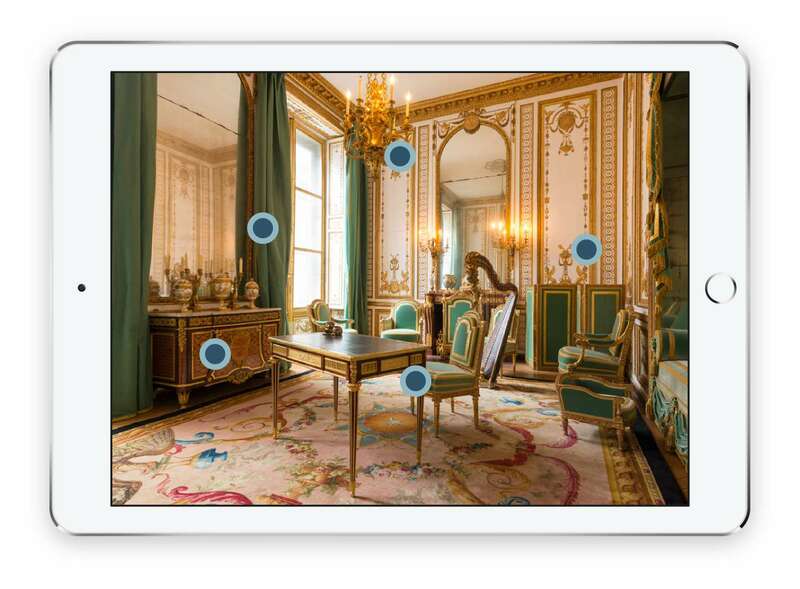 See how hotspots are used to kick up mobile guides a notch! See how hotspots are used in The Artifact!